A Full Range of Helicopter Services for Huntsville, Alabama. If you’re a prospective industry leader, you know that the difference between success and mediocrity is an optimized output. Therefore, in order to provide your ventures with the edge that they deserve in the contemporary market, it’s time that you outfitted your interests with the latest in aerial technology. With a helicopter, you can effectively leverage the vertical element, accomplishing even the most difficult challenges in a fraction of the traditional time. Helicopters prove ideal in helping you to conquer any and all onshore or offshore tasks, as helicopter pilots overcome time-consuming endeavors. Huntsville proves to be an optimal home for progressive helicopter solutions. The city plays host to the U.S. Space and Rocket Center and is no stranger to industry-leading aviation innovations. 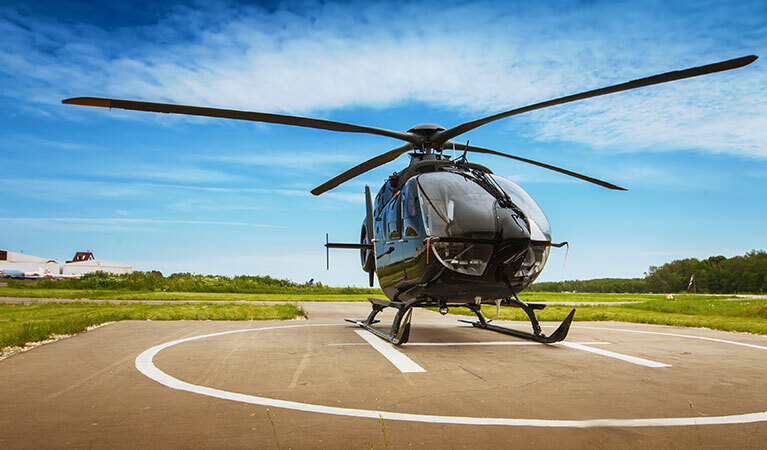 No matter the extent of your helicopter needs in northern Alabama, Huntsville helicopter providers answer the call, delivering choppers specifically optimized for all ventures. Satisfy Huntsville pipeline procedures by air, account for transmission line anomalies with a chopper, and capture attractions like the Huntsville Botanical Garden from above, with a helicopter that performs high-definition videography and photography! This Alabama signature city deserves a better aerial solution. Through any one of a dedicated portfolio of helicopter providers associated with FairLifts, you can put exclusive helicopter solutions to work in Huntsville, Alabama. No matter your individual budget or your corporate or personal ventures, a chopper already optimized specifically for your needs can arrive on the premises in no time. A network of experienced, professional helicopter operators consistently serves the needs of industry leaders in Huntsville; book today for aircraft solutions that can elevate your expectations with ease. No matter the extent of your heavy lifting needs, a helicopter specifically optimized for heavy lifting procedures can make short work of any and all lifting endeavors. Regardless of the size or the awkward shape of your cargo or your freight, helicopter providers already accustomed to extensive heavy lifting can streamline your operations. Choppers are enhanced for the fulfillment of precision placement of HVAC units and are dedicated to securing all of your personal or corporate assets. Provide your ventures with a sustainable advantage, when you exact any and all of your heavy lifting by helicopter in Huntsville, Alabama. For expedited transportation from one destination to the next, helicopter charters are the method of choice. Executive service charters deliver unrivaled luxury while you travel, enhanced aerial movement for businesses, corporations and executive operations alike. Discover a superior transportation solution, delivering you to and from select destinations in record time. Pipeline surveys are provided with the aerial solution that they deserve in Huntsville. Leverage the vertical element with the capacity to take in your pipeline network from above, for personnel transportation, quality control and more on the premises. 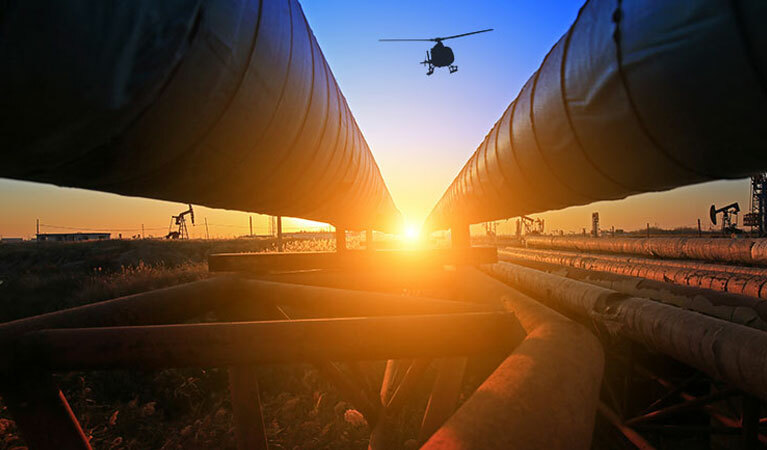 Bolster pipeline procedures, with a chopper prepared for the situation at hand. Optimize your transmission line experience in Huntsville, whenever you put a helicopter to work. 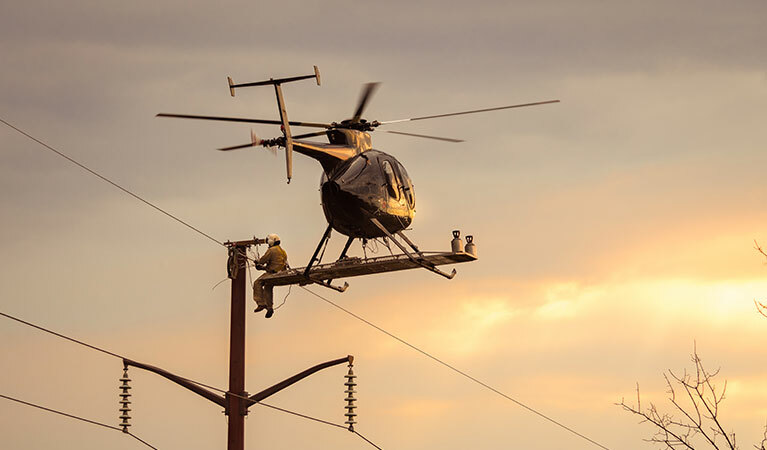 Helicopters move workers from one location to the next, even from one transmission line site to another, keeping your capacity at maximum. 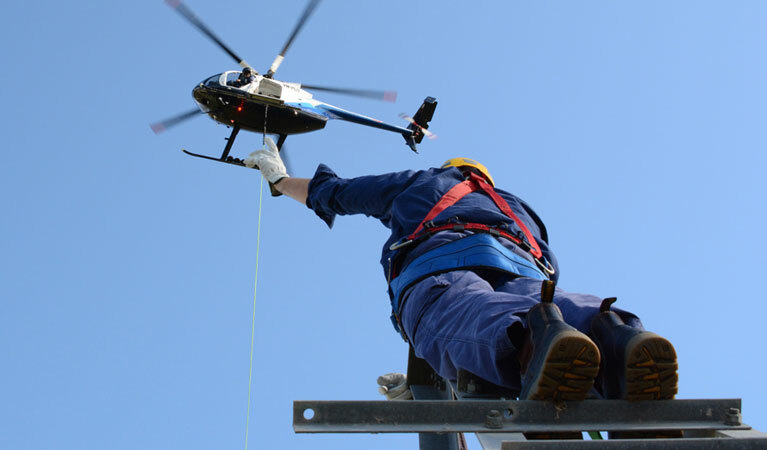 Stringing of wire, aerial trimming and more are offered with transmission line helicopter packages. With so many sight-worthy locations in Huntsville, it’s no wonder that the photography and the videography provisions by helicopter are in high demand. Mounted cameras can capture virtually any angle, to highlight any photography or videography portfolio. Hover, circle and focus on any location, for winning footage in no time. Aerial solutions for agriculture allow you to maximize your harvest, year in and year out. From the aerial application of fungicides and seed sprays to the distribution of frost prevention applicants and weed eradication from above, helicopters truly can do it all in an agricultural setting. With the perspective that a helicopter alone provides you above the ground, you can take in the entire extent of your operations from a holistic vantage point. Perform an easy aerial survey of any landscape or any corporate or personal venture. 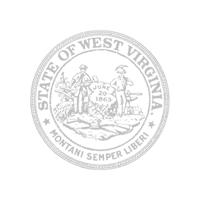 Competitive Pricing & Free Quotes! Contact one of our dedicated customer service agents today, to easily answer any of your remaining questions regarding helicopter solutions in Huntsville, Alabama. You can also fill out a customer contact form online, for an expedient response within a 24-hour period, right to your inbox.